Ashley outside the new block. 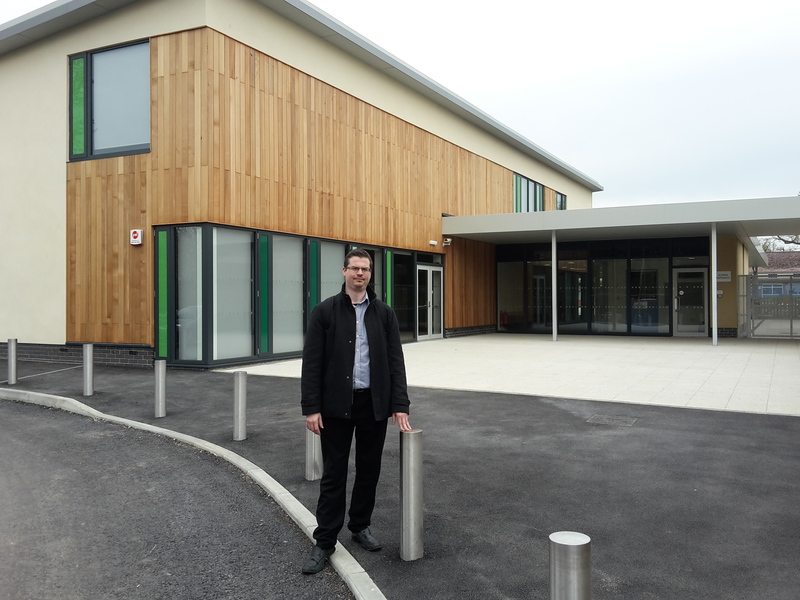 Ashley was able to see the great work that has gone in to setting up Ridgeways new block. Open for the spring term, the new building includes a new hall, offices and reception. Access to visitors is now only via the Whitley Wood Road entrance and the build has been completed on time. The rest of the buildings rare progressing on time and are due to be fully operational soon. It demonstrates Reading Councils great work in its primary expansion programme. This entry was posted in Ward School News on April 21, 2016 by Ashley Pearce.